Your first big decision when finding a place to store your money is whether to choose a credit union vs. a bank. At first glance, the similarities between banks and credit unions might seem evident. After all, both offer checking accounts, savings accounts, and even loans and credit cards. Which One is Safer, Banks or Credit Unions? Is It Easier to Get a Loan From a Credit Union or a Bank? 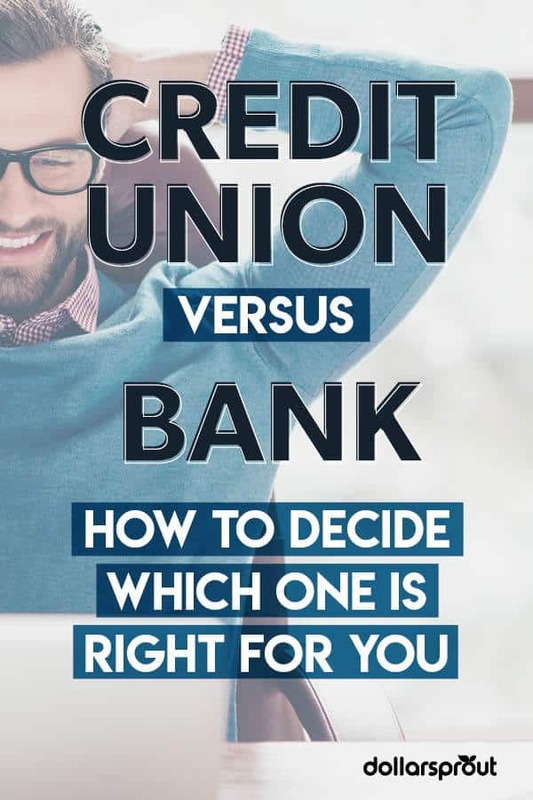 Credit Union vs. Bank: Which One is Best for You? But believe it or not, there are some very real differences between banks and credit unions that may affect your banking experience. Depending on your particular needs, a bank or a credit union might be a better option for you. A bank is a business. Banks allow you to deposit your money with them. In turn, they’ll lend out a portion of that money to people who need loans. Banks earn interest off of the loans, and to entice you to deposit more money (so they can make more loans and earn more interest), they offer you a small amount of interest in turn. In general, banks will let anyone open an account with them. 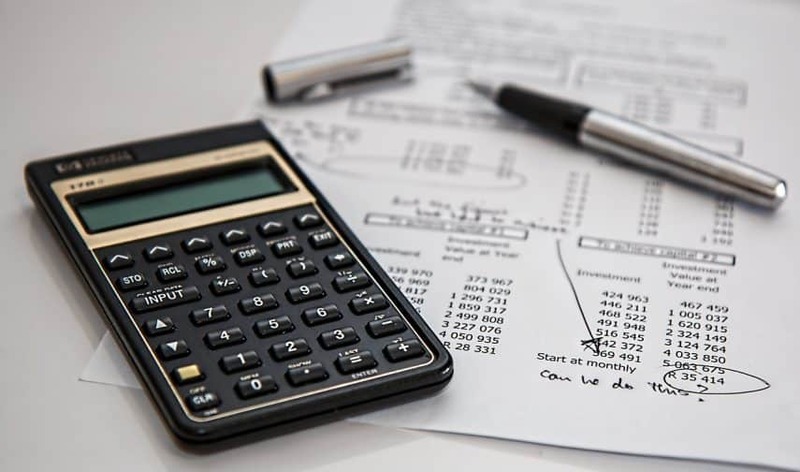 There usually aren’t any specific requirements to open an account besides living within the bank’s service area, being a U.S. citizen, and meeting the minimum balance requirements. Banks can be owned by private investors or traded openly on the stock market. Either way, banks do have owners and shareholders that they’re beholden to, and this drives a lot of the decisions that banks make. A credit union, on the other hand, is a nonprofit organization. Credit unions are owned by members, which are people who actually use the credit union. If you open an account or take out a loan at a credit union, you are a member. Membership is usually restricted to people in a certain group. For example, credit union membership is commonly restricted to people who live or work in certain areas, who work for certain employers, or who have a family connection to the credit union. Many credit unions (but not all) also allow you to become a member by joining a related nonprofit organization for a small fee. Credit unions are governed by boards of directors who make decisions based off of the best interest of members. This means that they may make slightly different decisions because they’re not trying to maximize profits for a select group of people who own the bank. 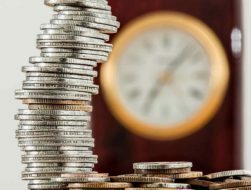 In addition to the structure of a credit union vs. bank, there are often differences between the products offered, interest rates you can earn, convenient features, and customer service. Banks and credit unions offer a similar suite of basic products. For example, you’ll find a basic checking and savings account at most any bank or credit union. Credit unions often offer a wider range of savings accounts. If you’re looking for a Holiday Club savings account to help you save for the holidays throughout the year, for example, you’ll have an easier time finding this at a bank vs. a credit union. It’s also very common for credit unions to offer kids’ and teens’ savings accounts. Banks, on the other hand, may be more likely to offer more specialized high-end products such as wealth management, investments, or business accounts. See Also: What is a CD Ladder and Should You Use One? In general, credit unions offer better interest rates on deposit accounts and lower interest rates on loans. This is due to their ownership characteristics. Credit unions are owned by, and make the best decisions for, their members. Banks, on the other hand, often offer poorer interest rates because this will generate more profit for its owners. It’s important to note, however, that this isn’t a hard-and-fast rule. There are many big banks coming out with innovative online products that are offering even higher interest rates than what credit unions offer. For example, the Wall Street bank Goldman Sachs recently launched an online-only bank called “Marcus by Goldman Sachs” that offers interest rates that even many of the best credit unions can’t compete with. Rest assured that your money is safe whether you choose to deposit it in a bank or a credit union — up to a point. Credit unions are covered by the National Credit Union Administration (NCUA). This program provides up to $250,000 worth of insurance per person at each credit union. Banks, on the other hand, are covered by the Federal Deposit Insurance Corporation. This insurance program also provides up to $250,000 worth of insurance per person at each bank. Even though these are different insurance programs, they’re still functionally the same. Just make sure you keep less than $250,000 at any given bank or credit union and your money is safe. The advantage of big national banks is that they’re available all over the country. There’s a Chase Bank and a Wells Fargo in even the tiniest of communities, it seems. This can be helpful if you end up moving in the future. If you’re banking with a local credit union in Colorado, for example, and you move to Washington state, you may not be able to do your banking in person anymore, or you may be forced to switch banks. Even though most credit unions aren’t available nationwide, many still partner up with a network of nationwide ATMs to provide you access to cash when you’re away from home. You may even be able to do your banking in person at a Shared Branch location with another credit union. However, you could be charged a fee for each visit. Many credit unions are also available online, so even if you move, you’ll be able to access your money digitally. See Also: Online Banking Pros and Cons: Should You Do Your Banking Digitally? Your local bank and credit union are staffed by people within your community. Thus, there usually isn’t much of a difference in customer service between the two if you do your banking in person. There could be a difference, however, if you need special accommodations. 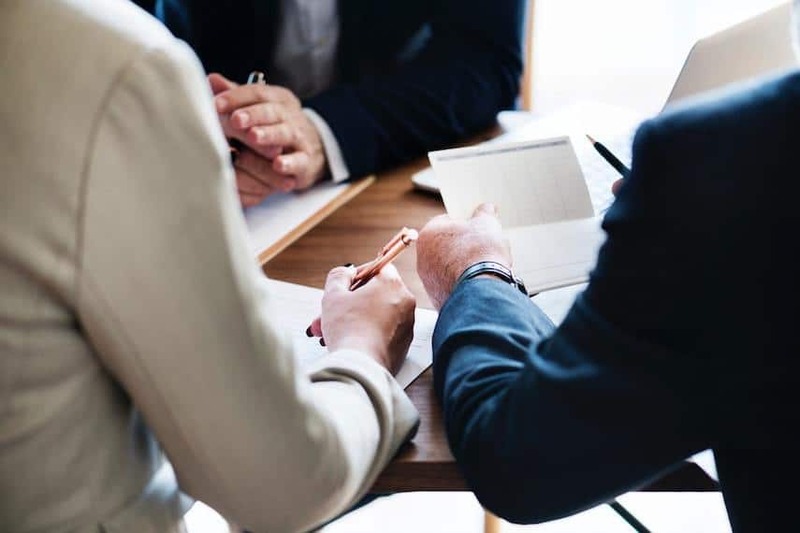 The manager of your local credit union may be able to give you more leeway if you fall on hard times and need to take a temporary break in loan payments, for example, or if you want to take out a loan to build your credit up. Again, credit unions are designed to serve their members, not owners and shareholders. As such, they may be slightly more inclined to help you out. To conclude our discussion of banks vs. credit unions, let’s briefly discuss the most common questions we see about the differences between banks and credit unions. Both banks and credit unions insure your money up to $250,000 per institution. They also both generally employ sound IT security and safety measures. As a result, there isn’t much of a difference between the two in terms of security. You should be safe at either institution. Not everyone is able to join a credit union. In order to maintain their special status, they are required by law to restrict their membership to certain groups of people. If you have good credit and earn a decent income, you should be able to get a loan from either a bank or a credit union. However, if one of those two things isn’t the case, you may find better luck in applying for a loan with a credit union. Many credit unions are willing to work with members who have low incomes or low credit scores by offering things such as secured loans, payday loan alternatives, or credit builder loans. If you like the idea of being a member rather than a customer, earning higher interest rates on deposit accounts, and paying lower interest rates on loans, then a credit union might be better for you. On the other hand, if you prefer convenient banking across the entire country and a wider range of high-end banking products, then a bank might be your best option. These generalities can help guide your search for a new banking institution. However, don’t let it box you in. The truth is that while these differences between banks and credit unions hold up over the big picture, there are plenty of individual outliers. You’ll be able to find many online banks offering higher interest rates than the local credit union, for example. It’s also fairly easy to find larger nationwide credit unions that offer a wider range of products and services than your local bank. Our suggestion? Start with a list of what’s most important to you in your financial life, and then base your search off of these criteria. Whether it’s a credit union vs. bank that you end up with, that’ll be the best way to guarantee you’re happy with the end result. Lindsay is a personal finance expert and writer based in Washington state. After graduating with two degrees in Wildlife Biology and Conservation, Lindsay found herself underemployed and $100,000 in debt.She has since learned how to manage money wisely and uses her experience to help others make smart financial decisions. Today, her work appears on sites like Credit Karma, Magnify Money, Wisebread, Centsai, Discover, and Chime Bank.In her spare time, Lindsay enjoys hiking, reading, homebrewing, travel hacking, and sharing her personal experience on her own blog, GoScienceFinance.com.